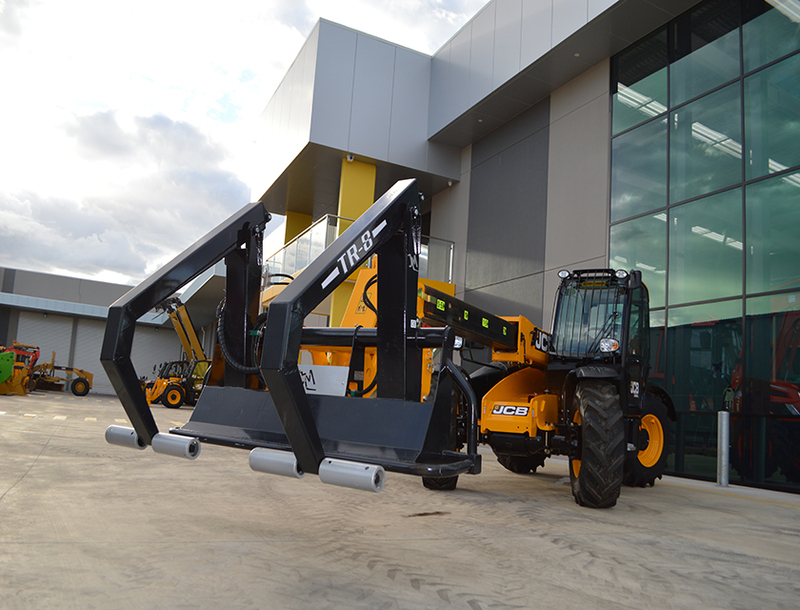 New to Australia, the TR8 bale grab features a unique patented overarm design. Centrally located allowing for optimum visibility from the the cabin, the grab can easily slide in between bales. The operator can operate either arm independently or in tandem. 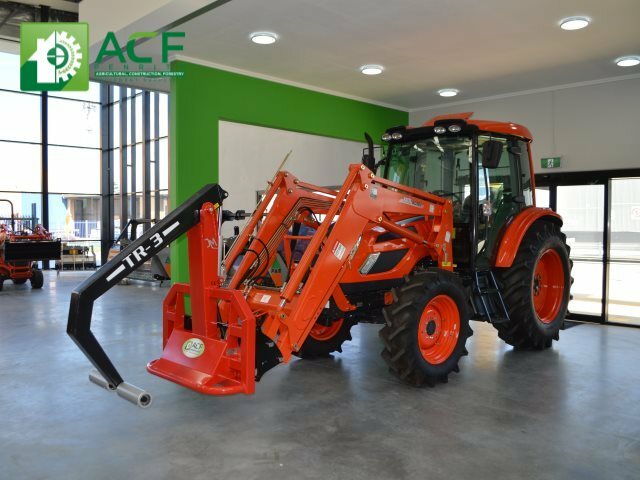 Eireka @ ACF has a special package for a New Kioti EX50 Tractor. The 50Hp tractor includes a front end loader, 4in1 bucket and slasher. The ergonomic operator controls & adjustable comfort seat offer maximum comfort all year round. Eireka @ ACF has a range of telehandlers for sale. 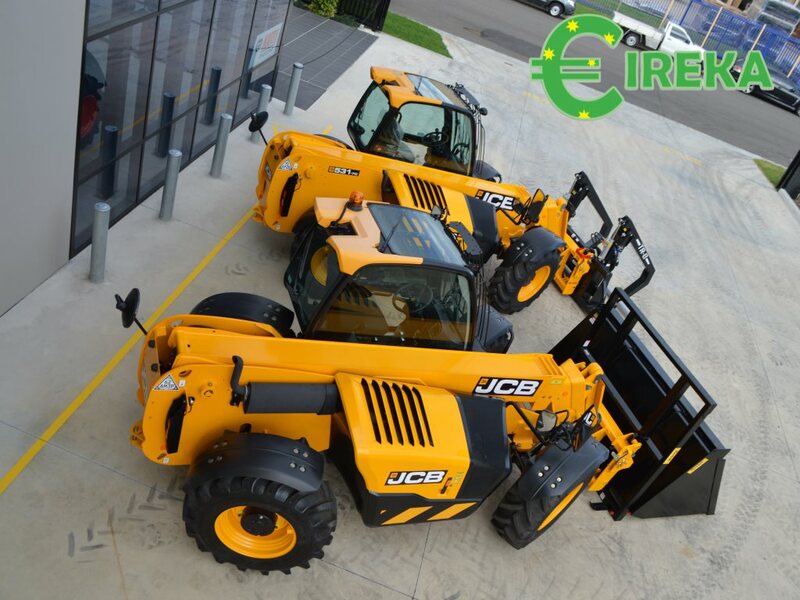 Eireka with a trusted reputation in the industry for supplying quality and reliable equipment, has often had telehandlers for sale for both their agricultural and construction customers. With the recent JCB telehandlers in stock customers can choose packages with a range of attachments to suit their needs and budget. Telescopic forklifts or commonly named telehandlers in the industry, are extremely versatile as attachments can be fitted. Eireka @ ACF Penrith has a range of packages with attachments such as general purpose buckets, grain buckets, hay forks, bale grabs, pallet forks, lifting jib and more. Customers can choose from a range of new or used JCB 531-70. Eireka @ ACF Penrith has Caterpillar 432F Backhoes now in stock. 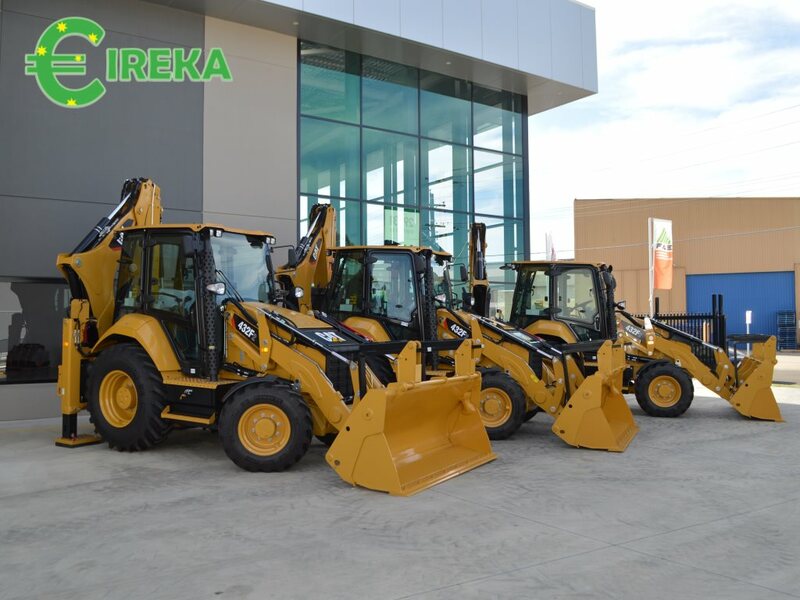 The CAT backhoe are impressive with lot of features including 6 speed auto shift – lock up torque transmission & 240 kg front counterweight. 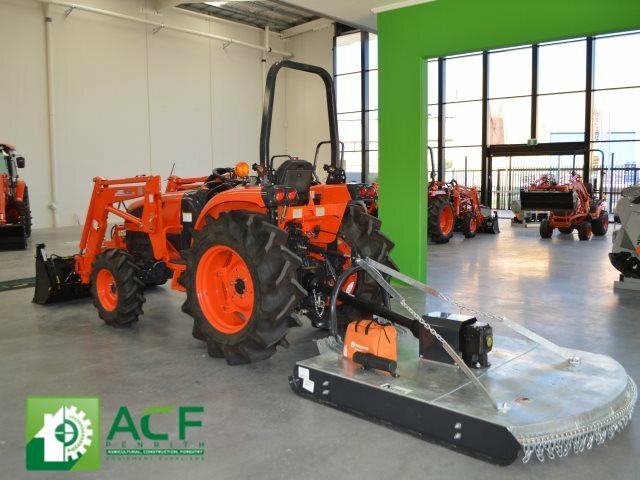 Pictured is the TR3 bale grab recently fitted on a Kioti tractor and on display in our showroom at ACF Penrith. Suitable for round or square bales, wrapped or unwrapped. The bale grabs suit all tractor front end loaders with euro quick release hitch. A big appeal of these JM Agri grabs are the ability to grip bales at any angle.